Waikanae Mowers is a family business, established in 1994. At Waikanae Mowers we provide a repair service for all types of contractors, local and national government departments, golf clubs, retirement villages, bowling clubs, home gardeners and anyone with a small engine. All our technicians are qualified, so you can be confident that the job will be completed to the highest standard. As well as garden machinery such as chainsaws, lawn mowers, ride-on’s and brushcutters, we also sell new and used outdoor power equipment - waterblasters, generators, and industrial vacuum cleaners. Our prices are competitive! We do a pre-delivery check with advice on starting, safety tips and the correct fuel and oil for your machine. We also provide a free five hour service and a solid warranty on all our new stock, and we have finance options available. We stock reputable brands including Stihl, Masport, Cub Cadet, Walker, Hansa, Honda and Rover. We have free product demonstrations, and free local pick-up and delivery for our mobile repair service. 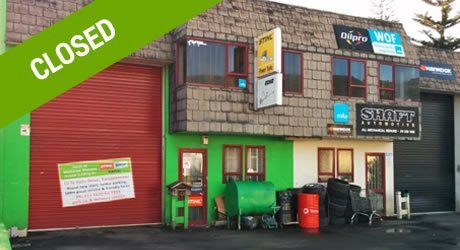 In November 2017, after 30 years in our workshop in Omahi Street in Waikanae, we moved our operation to Te Roto Drive in Paraparaumu. 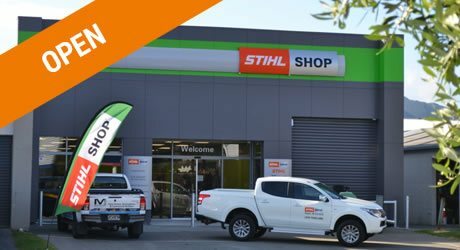 As STIHL SHOP Kapiti we now offer Kapiti’s largest range of quality garden machinery, and with our custom designed workshop your garden equipment is guaranteed the best service and repair on the Kapiti Coast. “Having dealt with Steve and Earle for 15 years or so we have found them friendly, efficient and very helpful. Always helping us in need…and always getting great deals. Well done Waikanae Mowers!" “The best small engine, sales and repair place in the Kapiti/Horowhenua area, bar none." “Service is key! Fast, prompt and professional…and a fair price!" “Since changing to Waikanae Mowers for all our repair and servicing needs we have been delighted with the service we receive. Steve and the team always have our machines ready on time and are willing to go the extra mile if we need a really fast turn around." “Steve and Leanne have always given us exceptional service and go out of their way to accommodate difficult part supplies and repairs." “We have had dealings with Waikanae Mower Services over a number of years. We find them very professional and fair. We would recommend them to anyone requiring service on small motors, chainsaws and lawnmowers." “I have relied on Waikanae Mower Services for 15 years to make problems go away asap. Whether to fix a chainsaw, sharpen a chain or tool, get new equipment or parts in, I am happy to say I’ve never been let down. They’re not the closest small motor mechanic to me, but to keep it simple, I wouldn’t go anywhere else. They are worth the travel!"